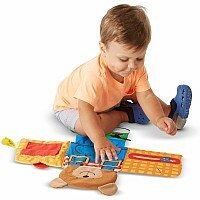 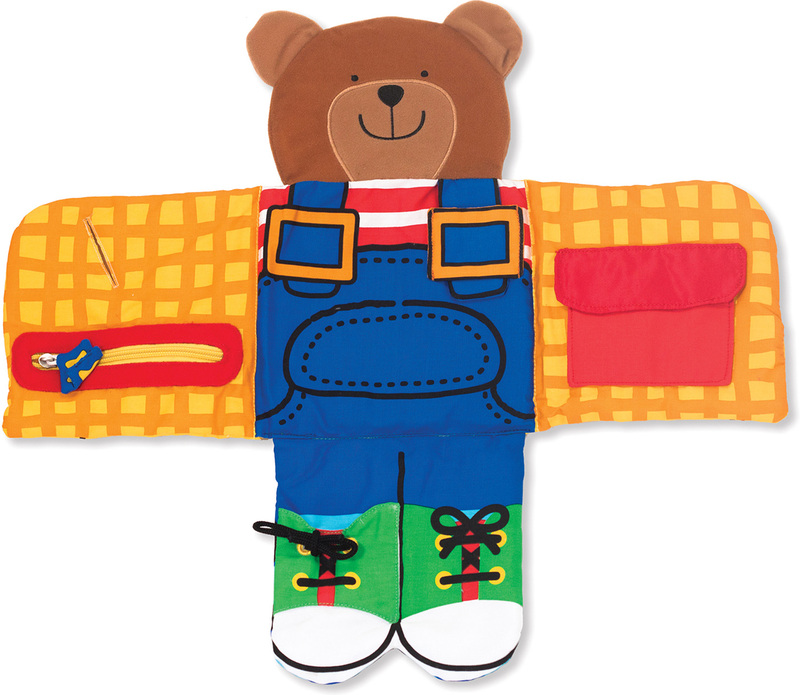 Babies and toddlers will delight in opening and closing the fastenings and peeking in the pockets of this skill-building bear. 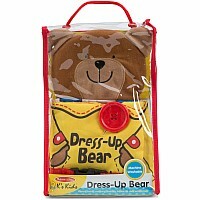 There are laces to tie, a strap to insert, panels to fold, an extra-large button to fasten, a zipper to zip, and more. 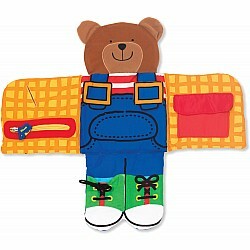 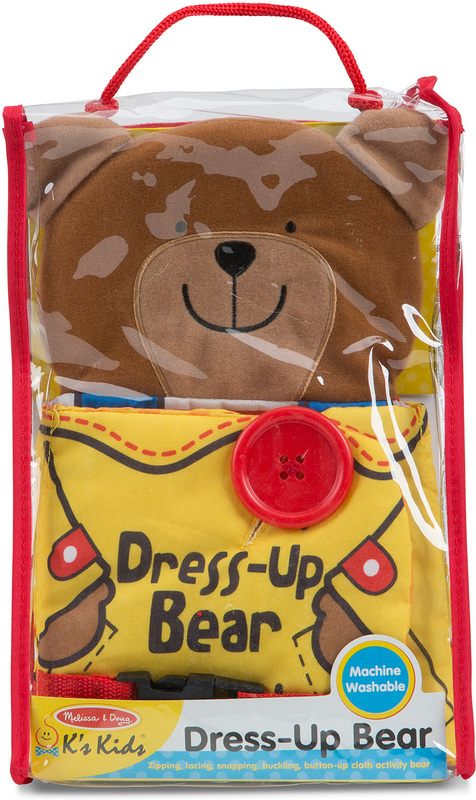 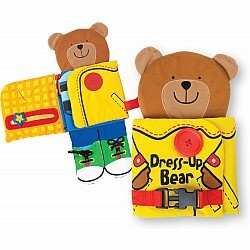 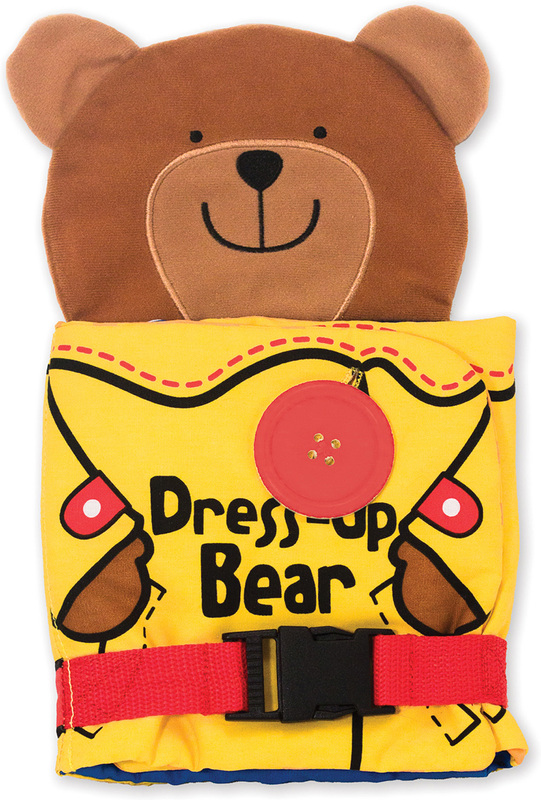 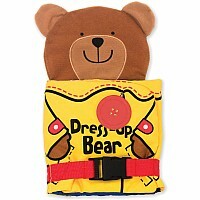 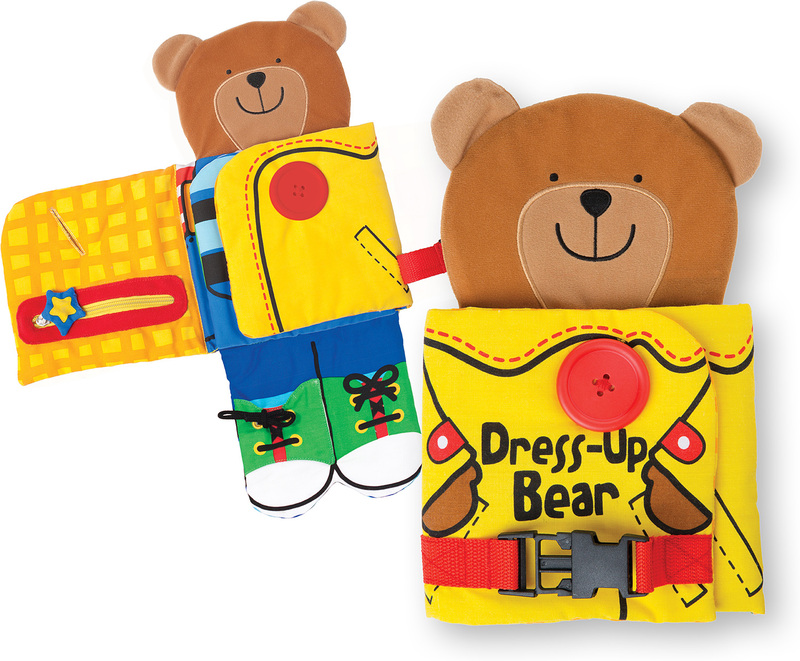 This fold-open Dress-Up Bear will be a favorite at playtime-and will stand up to repeated cleanings in the washing machine, too. 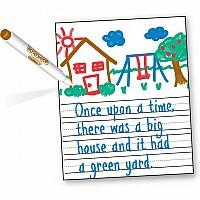 Measures approximately: 1.50 x 7.75 x 13.50 inches..